When it comes to decorating your home on a budget you’ve got to think outside the box. So let’s not waste any time and get started on how you can Upcycle Drawers into Shelving. 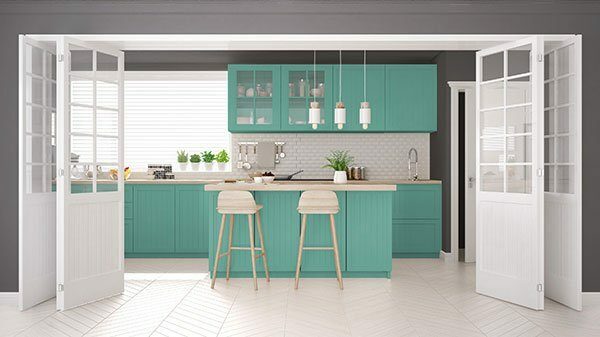 Whether you are decorating your dream home or a rental property you don’t need to spend a lot of money to turn your home into a designers paradise. Sometimes you’ve just got to think outside of the box to achieve a beautiful home on a budget. One of my favorite things to pick up at my local ReStore are drawers. They are a dime a dozen and often come from 70’s style kitchens. With a little TLC these drawers can become one of your favorite projects. 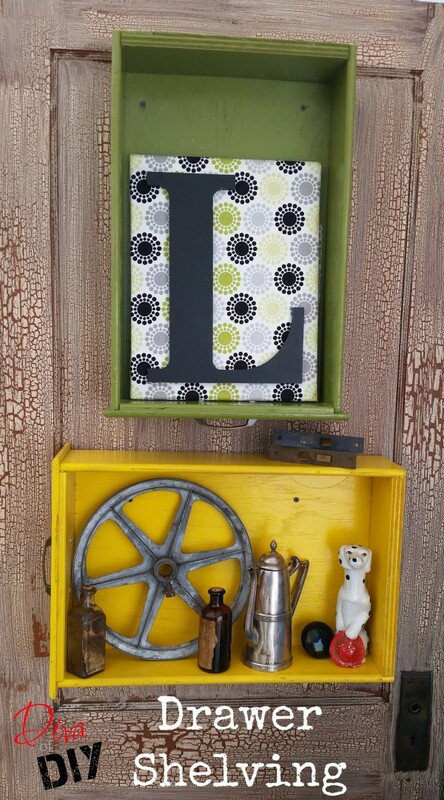 A few of my favorites are the Upcycled Corkboard and the Under Bed Storage. Now today we are taking these drawers and turning them into shelving. It’s really pretty simple! The first step of the project is to make your new shelf pretty! To do this begin by removing the handle and any hardware. Next, sand down any flaking paint or bad spots with the sand paper. Once your drawer is prepped and cleaned with Krud Kutter you are ready to apply your paint. Be sure that the first coat of the spray paint is light and still tacky and apply your second layer, let dry. 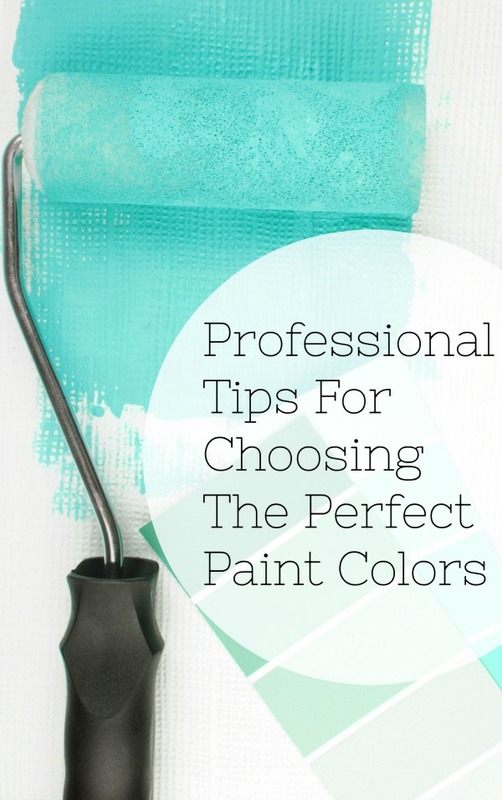 Depending on the color you are covering you could possibly use a third coat. Next get your drawer ready to be hung. Now depending on the size of your drawer you’ll want to attach one or two sawtooth hangers to the back of the drawer. Once the hanger(s) is secure you can place the hardware on the drawer for the handle and hang onto the wall. This is amazing! I love this idea, and I have ton of old shelves so this is perfect! I found you over on Something to Talk About link party and so glad I did! 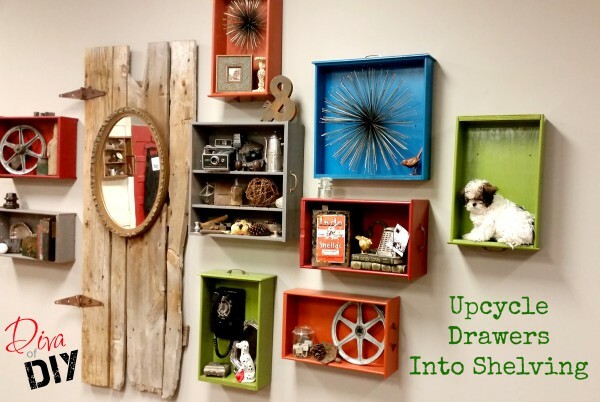 Yes and it's a great way to bring in color and use as storage or to display items! I knew there is some purpose for those two drawers in my attic! Thank you for inspiration! Let me know how your project turns out Ana. I can't wait to see it! Thank you so much Trish! It's also a great conversation piece! I love this idea! I just found a Habitat for Humanity ReStore that has a lot of drawers. I might give this a try. Yes Aliza! I LOVE LOVE LOVE supporting the ReStore! If you end up doing this project be sure to come back and share it with me! This is such an amazing idea! Thanks for sharing it. I'm Anita visiting from Artsy-Fartsy Link Party. Yes Gina - I have a friend who is actually making a built in with drawers and cabinets! Love the repurposed drawers! Pinning and sharing! Thanks! Such a good idea. Shelving is so expensive and this is a great way to add character to a wall! Thank you for sharing at the #HomeMattersParty! Looking forward to seeing you back later this week. This is a brilliant idea. I am forever upcycling and re-using things, just can't afford not to, and I find I get so much more satisfaction from knowing I used something creatively! 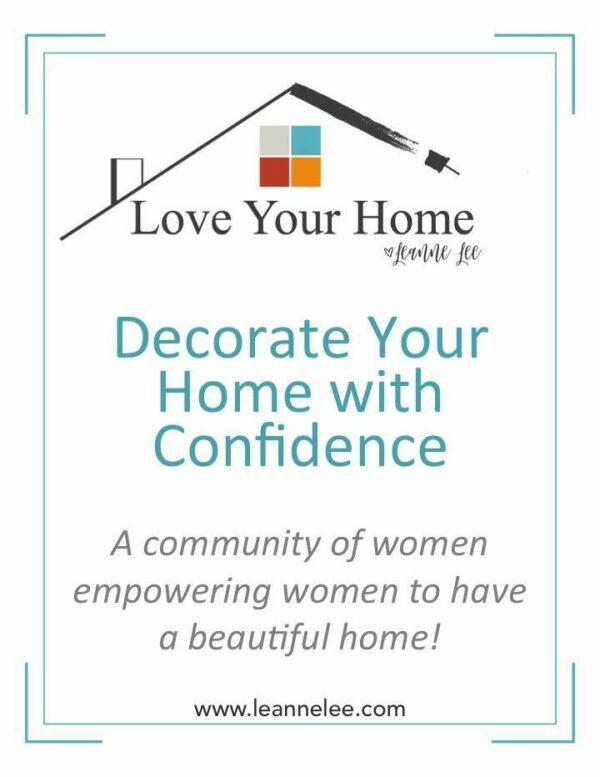 Thanks so much for joining the Living with Style Linky Party - I hope you will come and join us again this week - we're live now!